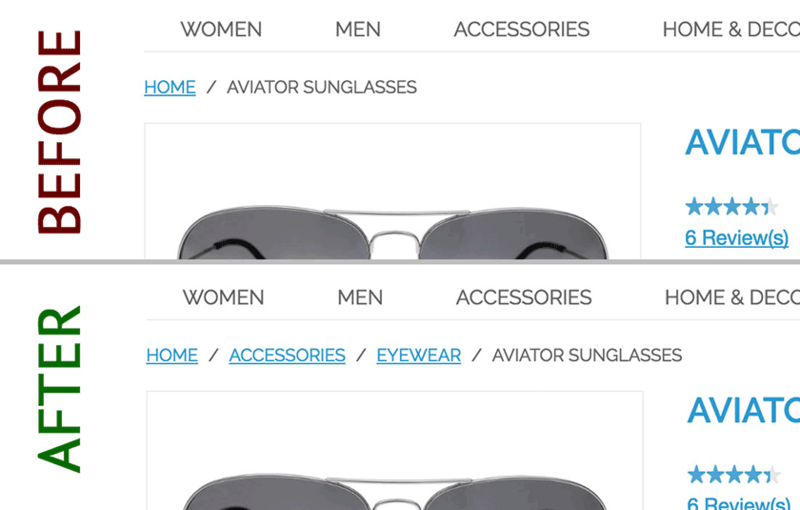 The main aim of this extension is to constantly show the full path to a product through categories in breadcrumbs panel even when Magento doesn't. In case a product is assigned to multiple categories, you can configure the plugin to show either all available paths to it or only the longest one. We’ve also added the possibility to select a "prior" category. The path having this category in it will also be shown in breadcrumbs. This plugin adds rich snippets to Magento breadcrumbs making them visible for the search engines. With this Google Crawler will navigate through your catalog and link products with the corresponding categories. It will even display your product breadcrumbs in search results like it is shown on the image. Let’s imagine that a customer searches for Nokia 64xx series in your Magento webstore. He follows the first link from the search result page. But then he realizes that it is not the product he searched for and wants to return to search results page. In this case, he has to type something in search form again. It's not that convenient. Our extension will add a new link to the breadcrumbs so the customer will see "Home / Search result for 'Nokia 64' / Nokia 6410". With this new link the customer will be able to go back to search results without any problems. Breadcrumbs block will be added to customer’s account pages and all the customer’s steps will be tracked there. This makes navigation and customer experience easier and more pleasant. Visitors will never lose track of the pages they have just visited. 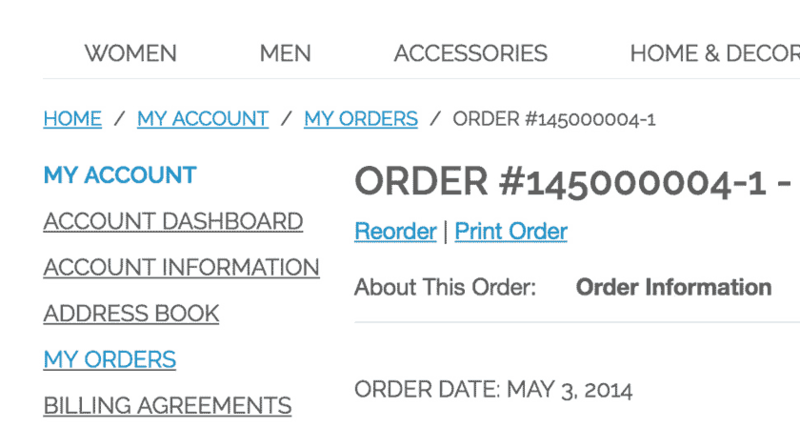 Q: My Magento doesn't show the breadcrumbs on product pages when I come from a direct link. Will your extension fix this? A: Yes, that's exactly what Advanced Breadcrumbs plugin was developed for. It will restore the breadcrumbs that Magento has missed. Q: What if a product is assigned to multiple categories? Which path will be shown in breadcrumbs? A: The extension has flexible settings for this. You can either show all available paths or only the longest one. With the second option you can also select "preferred category". In this case it is the longest breadcrumbs path including this category that will be displayed. Q: Does this Magento extension adds rich snippets to Magento breadcrumbs so Google can find it? A: Yes, it adds rich snippets so google will parse breadcrumbs as structured data and show it in search results. Great job, guys. The extension works perfectly. Great extension to easily fix some of Magento's SEO issues. Nice extension and nice service. The guys installed the extension in 15 mins after making the purchase. Thanks. This extension is really very useful for the complexity of my shop categories. Good money well spent, thanks. Excellent support. I would definitely recommend it. a very good application for google. New setting "Force show full path"
Added possibility to select the default breadcrumbs path for a product individually. In case a product is assigned to multiple categories, then they will be sorted by position. Modified structured data type for breadcrumbs. Now using RDFA instead of MICRODATA. Fixed incompatibility with PHP 5.2.x and earlier. Multiple product paths weren't shown when coming through categories. Fixed! Fixed problems with multistore setup. Breadcrumbs were missed on category pages. FIXED.